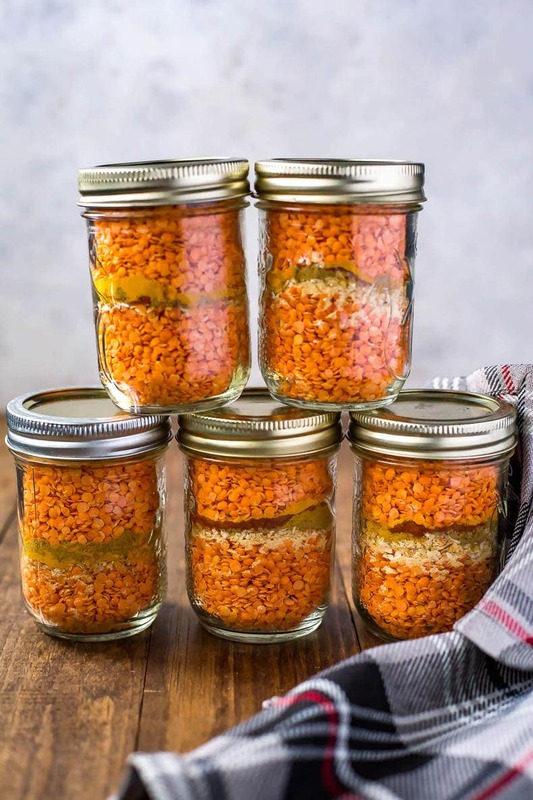 This Curried Lentil Soup in a Jar is one of those affordable homemade mason jar gifts that is a perfect Christmas food gift! 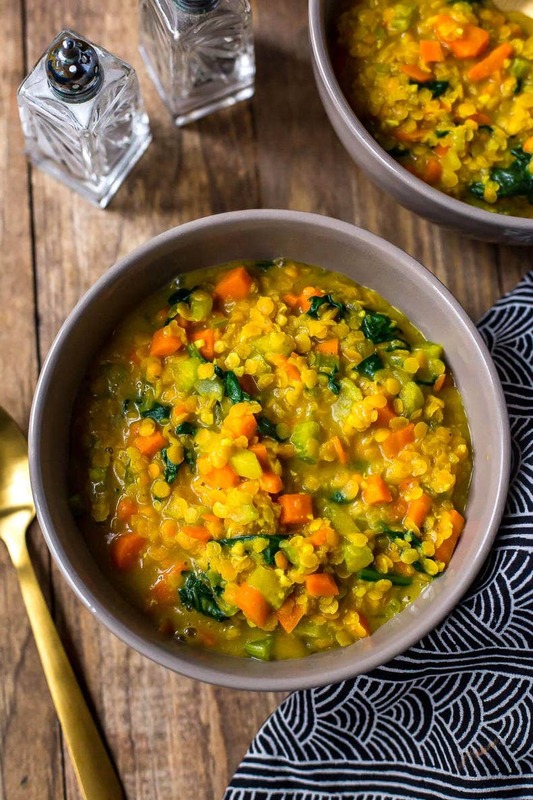 It makes a delicious, hearty soup – especially with added vegetables! OMGGGG say hello to my fave new mason jar soup! And it is the EASIEST soup you'll ever make, no lie! Yes, an easier meal prep soup than these Spiralized Zucchini Noodle Soup Jars too because technically there is no cook time in order to prep these out. And did I mention they make amazing mason jar Christmas gifts?! 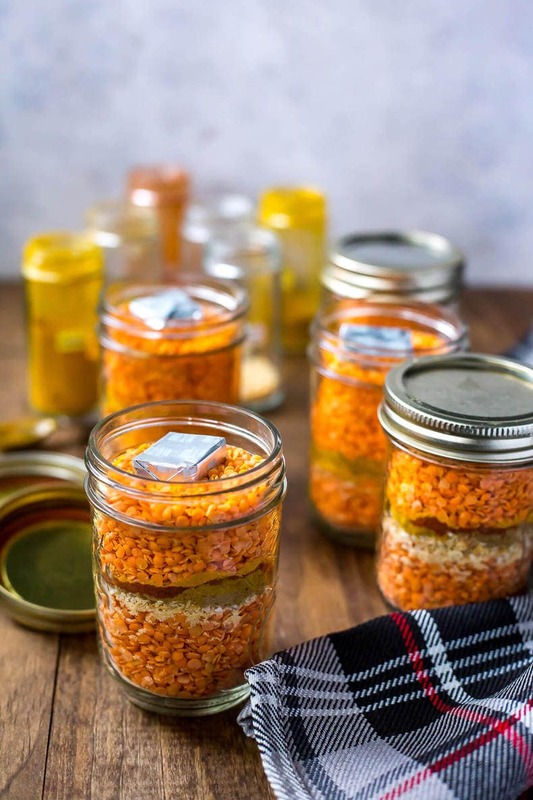 Not only is this Curried Lentil Soup in a Jar the perfect gift idea, it's also just a plain old delicious last-minute meal idea for cold winter nights. 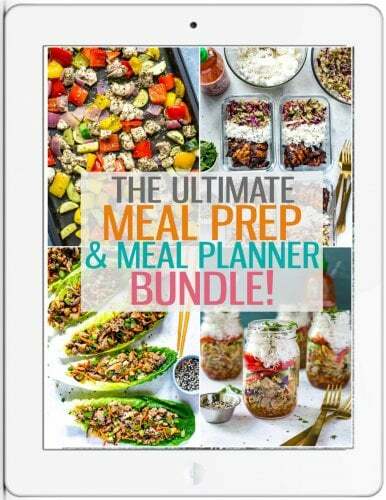 So basically it's like Christmas food gifts and meal prep all in one. Amazing if I do say so myself. It's also gluten-free, vegetarian, dairy-free…I could go on. 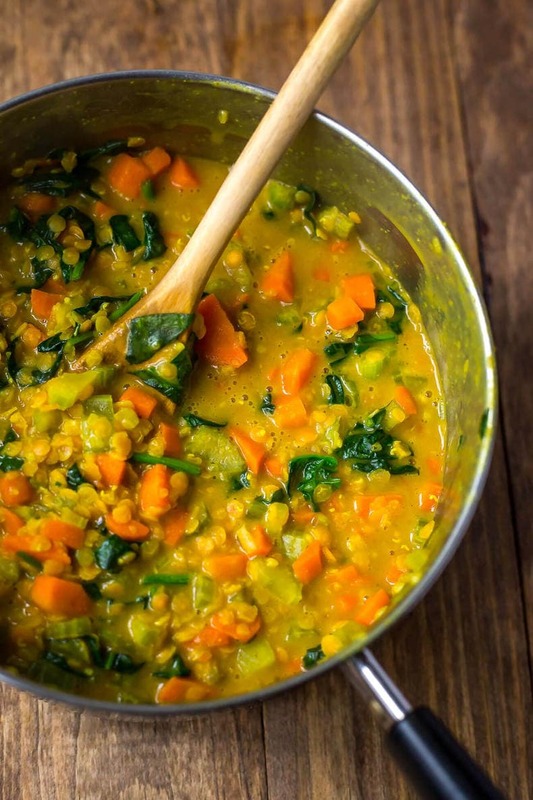 Lentils are one of my favourite protein sources and there's something about them that's so hearty and filling. 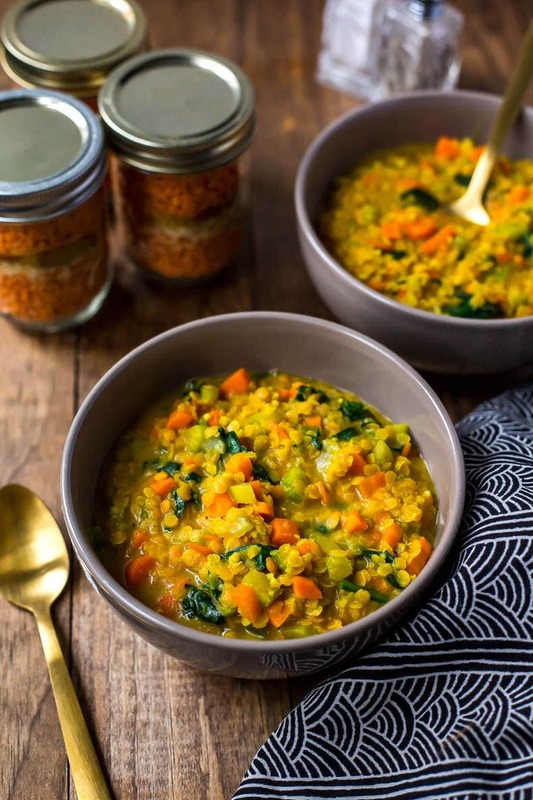 They really are perfect for comfort food, and the red lentils especially add a nice thick texture to this soup alongside the coconut milk because they break down a bit while they cook. Did I also mention that you already most likely have all the spices on hand in your spice drawer? I mean, hopefully your spice drawer is well-stocked, but most of the ingredient list is made up of no-cook pantry staples. I will say that the can of coconut milk adds a nice touch to these mason jar gifts but technically you don't even need that, or the veggies. 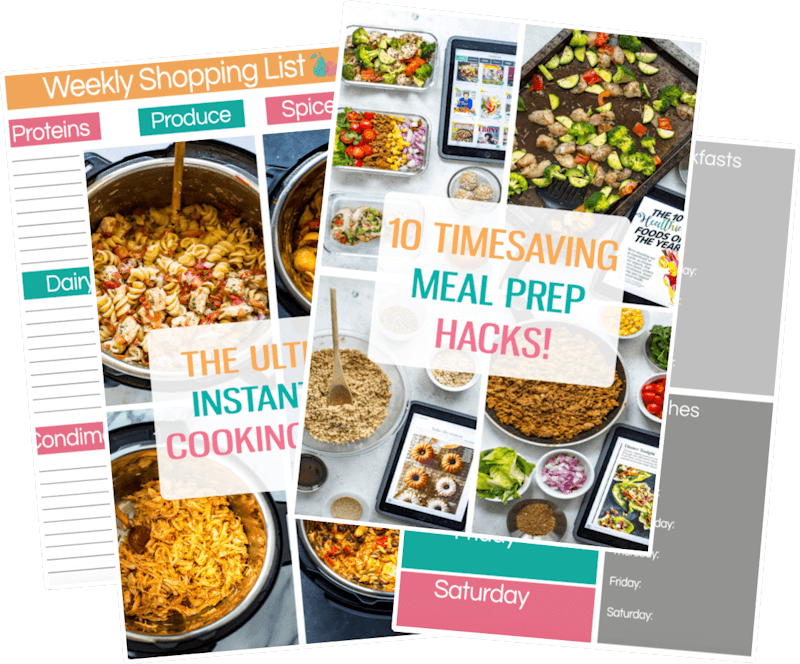 Of course since I'm all about health and nutrition though, I felt that I should at least give you a super easy way to turn this into a full-blown meal with veggies you probably already have on hand at home. And before we dive too much into these Mason jar gifts, I thought I would offer up some other delicious Christmas Food Gifts for you to gather some ideas as we are quickly coming up on the holidays! Here are some other amazing mason jar Christmas gifts that are perfect to make for your loved ones, and they're an amazingly affordable way to get everybody a little something without having to run to too many different stores. Though it's fairly common to find baked goods ready to go in a jar as Christmas food gifts, finding savoury options is much harder! You don't want to put the onus on your loved ones to have to go out and buy a bunch of ingredients they wouldn't already have on hand at home, so soup in a jar and cookies/pancakes/sweets are a more viable option to give as mason jar gifts since they don't spoil and all you often need to add is water or a staple like eggs. You see it in the fridge? Dump it in here! Cooking times for different veggies may vary – celery and carrots for instance take longer to cook and won't be too unappetizing even if they cook too long, but other veggies like bell peppers and broccoli won't be as good if left in for too long so adjust the time you throw in the veggies as you make substitutions. For a more delicate vegetable like zucchini or broccoli I would recommend stirring them in within the last 5 minutes of cooking time, while I would recommend stirring in greens like spinach, kale or Swiss chard in at the very end when you're removing the soup from heat. Don't cook them at the very beginning like I did with the carrots and celery – adjust accordingly. Now, on top of all the other things I mentioned, this Easy Coconut Curry Lentil Soup in a Jar is also FREEZER-FRIENDLY when fully cooked! Whip up a giant batch, then store in individual serving-size glass containers and freeze up to 3 months, reheating for 6-7 minutes or so in the microwave. Could dinner GET any easier?! Talk about a ton of power from a tiny little jar of food. Your friends and family are just going to LOVE these Mason Jar Christmas Gifts! 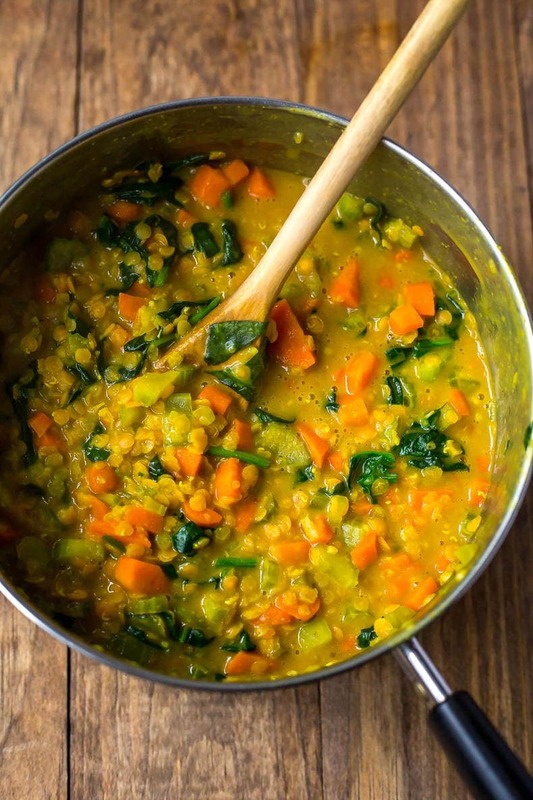 Will you be making this Easy Curried Lentil Soup in a Jar? 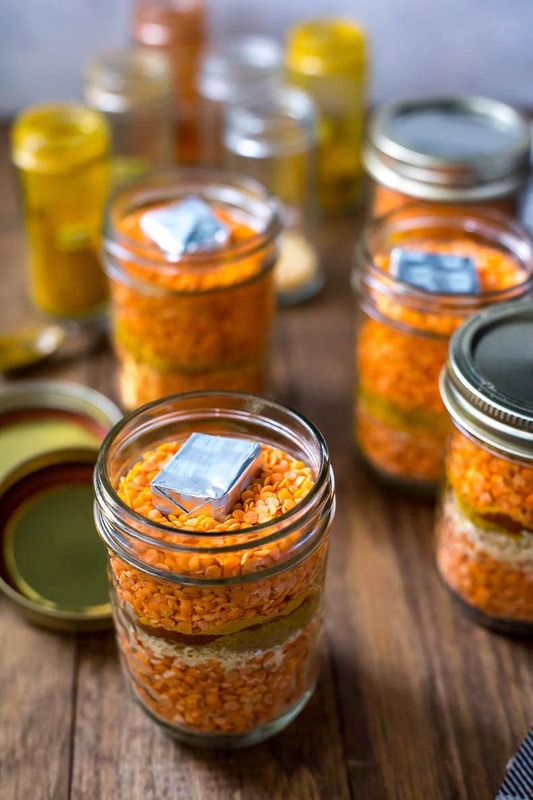 These mason jar gifts make the cutest, most perfect Christmas and double as your weekly meal prep so no matter what time of year you're making these up, they'll always be appreciated as a delicious short-cut to lunch or dinner! 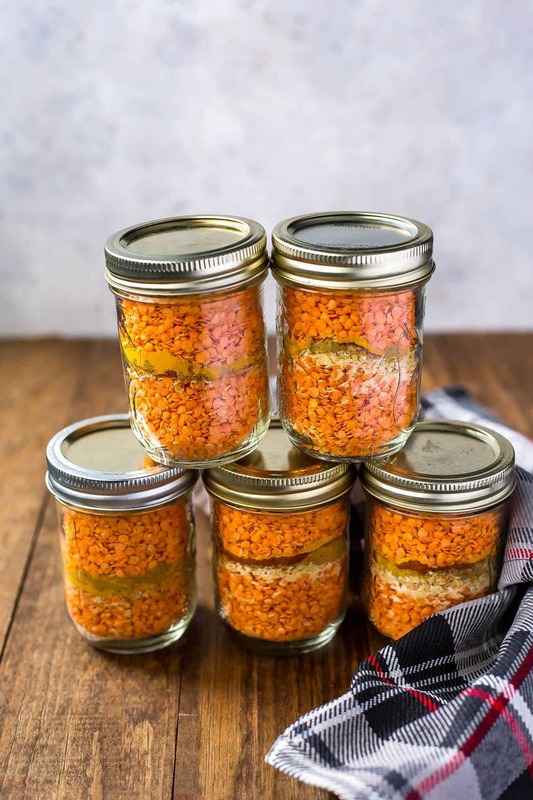 This Curried Lentil Soup in a Jar is one of those affordable homemade mason jar gifts that is a perfect Christmas food gift! It makes a delicious, hearty soup - especially with added vegetables! 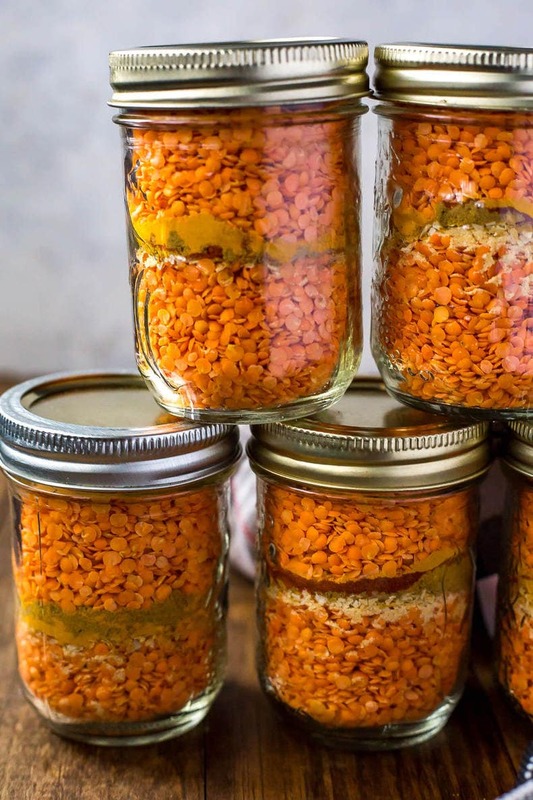 In medium-sized mason jars (I use the size you make jam in), add 1/2 cup lentils, then all the spices. Add the remaining 1/2 cup lentils. Add lid and set aside/give as a gift along with can of coconut milk. To make a meal out of it, you can add veggies (instructions below). In a pinch, all you need is a can of coconut milk and the 2 cups of boiling water. However, I love adding extra veggies because it's super easy! Read below. In a large pot, melt butter over med-high heat. Add carrots and celery, sauteing for 7-8 minutes until veggies are softened. Add boiling water to bouillon cube from jar and stir until dissolved. Add broth and coconut milk, bringing to a boil. Add lentil soup mix and simmer for 20 minutes until lentils are fully cooked. Remove from heat and stir in spinach. Serve and enjoy! Soup also freezes well! Add to glass bowls, freeze and reheat in the microwave for 5-6 minutes.